Juuust in case the title of this post made you do a little snort-laugh, allow me to explain. 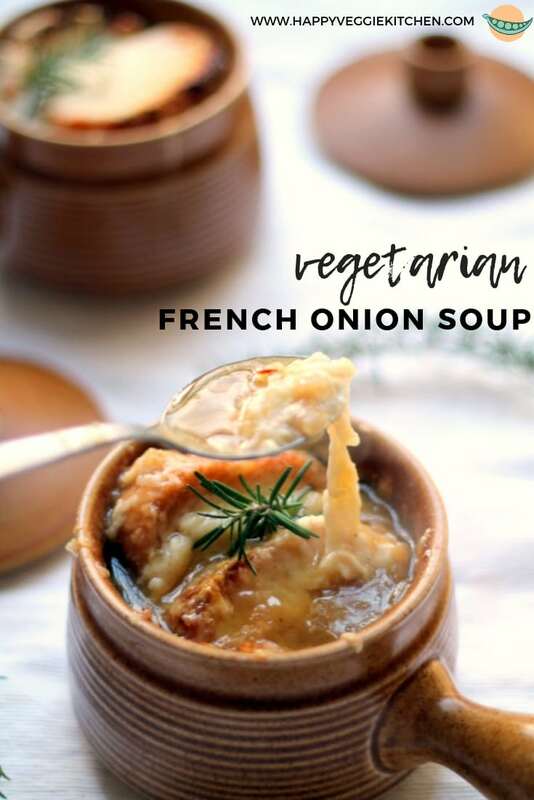 Is french onion soup vegetarian? That’s a NOPE. 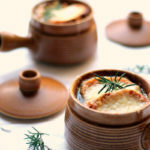 French onion soup is generally not a vegetarian dish- it’s traditionally cooked in beef stock. To make a vegetarian french onion soup, we have to use vegetable stock. But then you have a lighter colored soup and it really lacks the depth of flavor that the original has. It’s kinda missing something if you just make that swap and leave it at that. 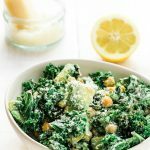 But this vegetarian recipe has a a couple tricks up its sleeve to darken it up and add some umami. 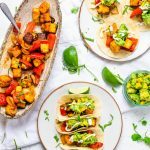 This recipe was dreamt up to solve a little problem I have. French onion soup has always meant a guaranteed hour of tears for me. My eyes must be super sensitive to onions. Chopping six at once? No, no and NO. I would have to leave the kitchen for, like, the rest of the day. Waterproof mascara would fail me. So today, we spiralize the onions! 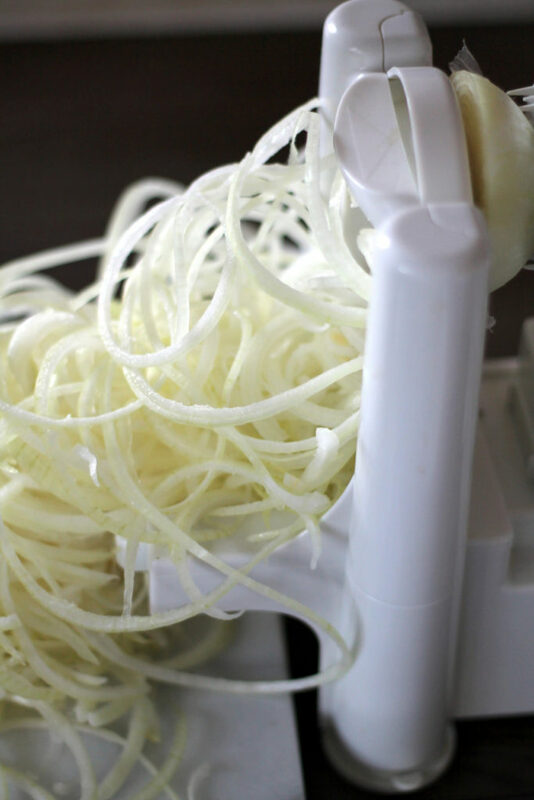 6 onions glide through that spiralizer with total ease and are ready to go in, like, three minutes flat. Practically painless! As I type this, my eyes do sting a little, but I just put 6 onions through those spiralizer blades so it gets in the air just a little. Chopping six onions by hand, however, would have just about killed me. When I first made this, I wondered if spiralized onions would make super-long onion noodles in the soup. The answer is nope. They tend to break up into much smaller pieces somewhere in the cooking process. The spiralizing process does give you very evenly sized bits of onion though, which adds a sort of professional “I know how to chop things evenly” edge to your soup. So back to the broth thing I mention before. I’ve used vegetable broth in here. 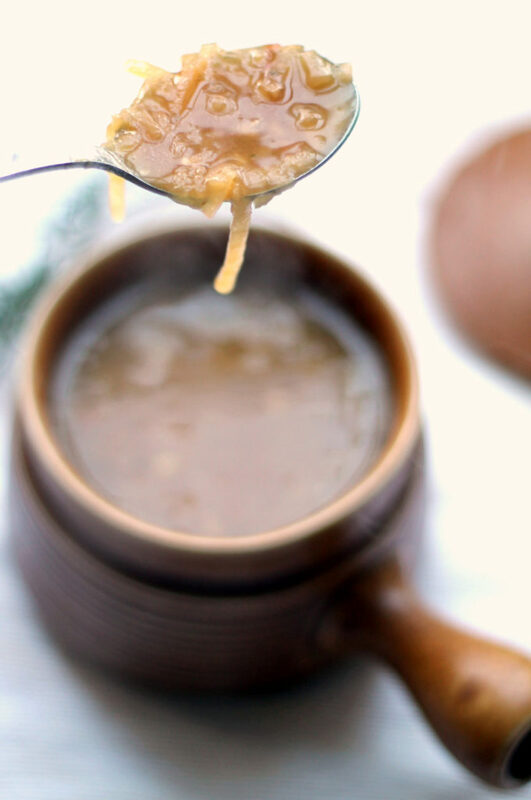 I have in the past used faux beef broth to make vegetarian french onion soups and that’s a good, quick fix which lets you follow a traditional recipe. But for me, this is the magic formula right here. I used a good vegetable stock and then added two special ingredients: soy sauce and Marmite! Both of these ingredients darken the broth and add depth and umami. What is marmite, where do I get it and what if I don’t have or want it? So. Marmite is a British thing. Australians have vegemite which is apparently similar. North Americans have neither. You can buy cheap imported Marmite on Amazon and I definitely recommend it as a vegetarian cooking ingredient, but if you don’t wish to hunt it down, just use some faux beef broth (it’s widely available at Whole Foods). Marmite lovers / new converts, be sure to try my vegetarian shepherd’s pie recipe which also uses marmite. 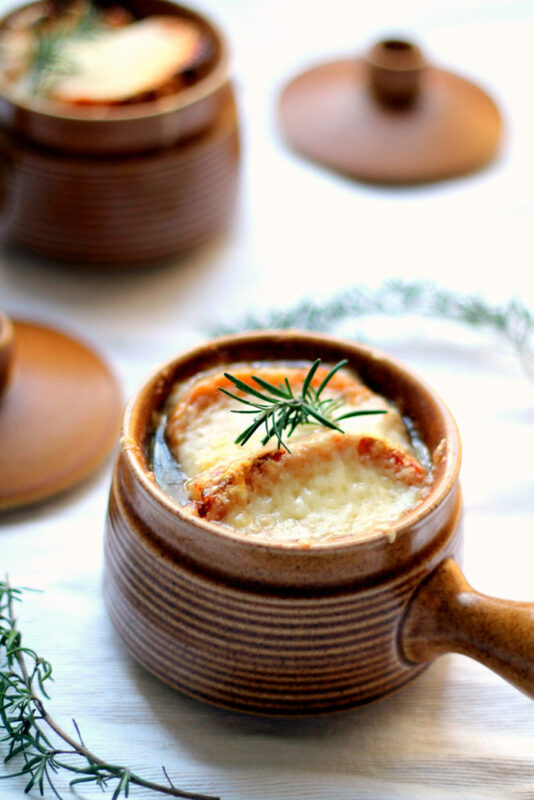 Two secrets give this vegetarian french onion soup recipe all of the flavor and umami of the original! Running the onions through a spiralizer makes this incredibly quick to prepare, won’t sting your eyes, and gives the onions an even finish. Winning! First, prep the onions by spiralizing them. How easy was that? In a large, heavy pan, melt the butter over a low heat. Add all of the spiralized onions, and then the sugar. Stir to ensure that everything is coated in butter. Place the lid on the pan and cook on the lowest possible heat for at least an hour, stirring every 15 minutes or so, until they are completely soft, brown and richly caramelised. The long strands of onion will have mostly broken up by this point. Then, add the garlic to the pan and stir into the onions, just until the fragrance starts to come out. Add the flour and stir in until evenly distributed. Add the white wine and bring up the heat. Allow to bubble for a couple of minutes, and then add the vegetable stock, soy sauce, marmite and bay leaves. Simmer for another hour, or until you’re ready to eat. To serve, ladle the soup into bowls. Top with a couple slices of toasted baguette and pile them high with gruyere cheese. Grill until the cheese is melty and crisp. You’ll want a large, heavy pan to caramelize your onions in. I used a 4.4 litre (approx 3.9 quart) cast iron pot for this. Source: adapted from this BBC recipe. I thought I was the only one with such a severe onion issue! It’s so offensive. 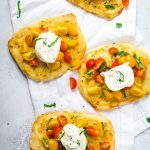 I love the spiralizer idea and it made this recipe so much faster! Do they onions stay long until you cook them? 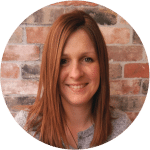 And can you share what spiralizer you use please? Hi Penny! 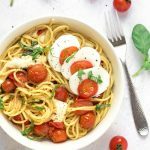 I use the Paderno Spiralizer, it was one of the first on the market but nowadays there are so many good options. And yes the onions cook while still in long strands. Somewhere in the soup cooking process they break up into a smaller size!